The following article examines the child witness in a criminal case and the law surrounding the competency for that child witness to testify. The article was authored by attorney Brandon C. Waltrip, and published in The Virginia Champion, Winter 2018 edition. There are specifics regarding a child witness’s competency to testify and what a court must consider in making that determination. No person is deemed incompetent to testify solely based upon age. (Virginia Code § 8.01 – 396.1). 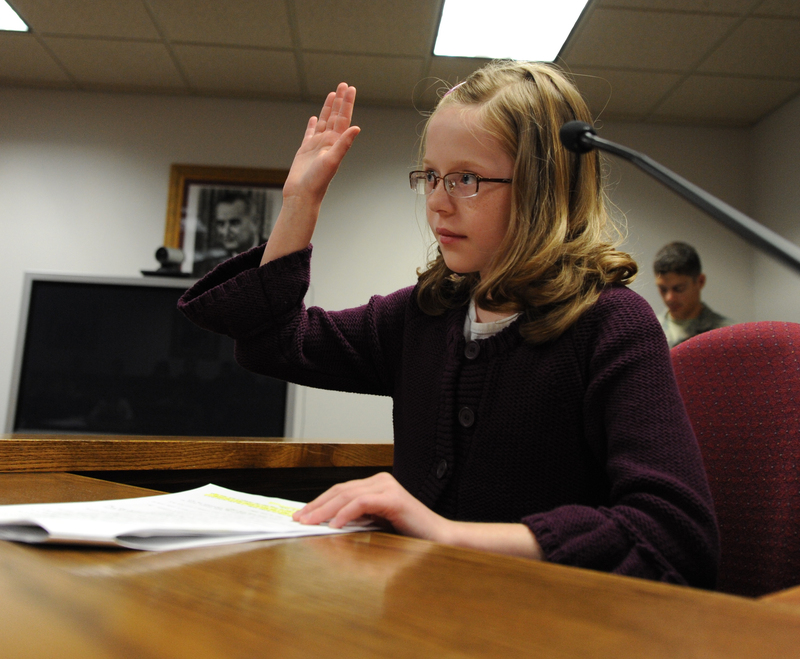 However, a child witness can be barred from testifying if they are found incompetent. The decision regarding a witnesses’ competency rests in the discretion of the trial court and is determined as of the date the child is offered as a witness and not when the incident(s) testified to occurred. (Cross v. Commonwealth, 77 S.E.2d 447 (1953)). The burden of demonstrating incompetency rests upon the party seeking to prevent a child from testifying. A child witness will be deemed competent if the following factors are met: (1) the child possess the capacity to observe events; (2) the child can recollect and communicate the events; (3) the child has the ability to understand questions and to frame and make intelligent answers; and (4) the child has a consciousness of the duty to speak the truth. Id. Framed more concisely, the witness must know the difference between right and wrong, and have sufficient mental capacity to receive reasonably accurate impression of the facts to which the testimony relates. Id., at 452. The first three factors consider the witnesses intellectual ability to relate the facts, the fourth factor considers the ability to distinguish truth from falsehood. In Bynum v. Commonwealth, the Court of Appeals ruled a deaf and mute witness was competent when it was demonstrated the witness had the ability to observe, recollect and communicate the events, and understood that her job was to tell the truth. Bynum, 2013 Va. App. LEXIS 170, 2013 WL 2393145, (Ct. App. 2013). The trial court looked at non-responsive answers and determined that it could be ameliorated by clearer, better framed, questions. Further, the evidence that the child’s testimony was influenced by her mother, affected the weight of the victim’s testimony, not her competency. The Virginia Supreme Court reached a similar decision in Ortiz v. Commonweatlh, 667 S.E.2d 751 (2008). In Ortiz, a 9 year old was able to explain the difference between the truth and a lie by expressing a fear of getting in trouble and indicating it was better to tell the truth. The Court ruled the witness possessed a sense of moral responsibility, the mental capacity to observe events that happened and the ability to testify about those events. Id., at 761. The Court again found that the defendant’s contention that the child had been influenced by the mother related to the weight the jury should give to the testimony, but not the child’s competency to testify. Other cases to note include Klevenz v. Commonwealth, 254 Va. 147 (2013) where a four-year old was found competent after being asked questions in camera. Greenway v. Commonwealth, 254 Va. 147 (1997) where a twelve- year old testified as to the speed of a defendant’s vehicle – the issue rested on the fact that the proper foundation for witness testimony was not laid, not as to competency, but as to credibility. Finally, in Avalos v. Commonwealth, 2005 Va. App. LEXIS 241 (2005), the Court ruled that although the child spoke with other persons regarding the events, that was not sufficient to say that the child did not have an independent memory of the events or that she was told what to say. The Court ruled the child was able to observe, recall, communicate and respond by answering questions about her home, school, and events from her last birthday. Any lack of detail regarding the factual circumstances alleged, again went to credibility, rather than competency. The above case law makes it clear that the Court has consistently ruled in favor of competency when there are questions relating to credibility. However, in Cross v. Commonwealth, which lays out the formal rule regarding competency, the court overturned the conviction when there was sufficient evidence the witnesses lacked personal knowledge to testify about the alleged facts – in that the mother had repeatedly told the child a story to memorize. This showed the witnesses lacked the ability to recollect and communicate the events. If there is evidence of independent recollection, the witness would likely be found competent. From a procedural and practical aspect, a defense attorney may raise the issue of a child witnesses competency prior to trial. Issues relating to credibility (i.e., parental influence on the child’s story) should be reserved for questioning during trial. If motion is made prior to trial, and a formal hearing held, prosecutors will consistently request the hearing take place in camera, or via two-way video with the child in a separate room. Personally, I have chosen to waive my client’s appearance during such pre-trial hearings, as this allows me an opportunity to view how well the child does within the court room environment. Additionally, should I lose the motion, and the child has testified without issue, I have laid a foundation for an objection to the child testifying in camera, or via two-way video during the trial itself, when the defendant would be present. The above is a look at The Child Witness: Competency to Testify. If you have been charged with a crime and expect a child witness to testify, it is important to consider what is outlined in this article. If you have questions about your criminal case, be sure to seek the advice of an attorney licensed in the Commonwealth of Virginia, or the jurisdiction in which you are charged. Feel free to contact Brandon C. Waltrip if you have comments about this article, or have been charged with a criminal offense.